The SANIPACK Pro UP is a grinder for wal-hung bowls. It is placed behind a partition and allows the drainage of the wastewater of an entire bathroom. SANIPACK Pro Up is the only grinder which can be completely fitted in a wall cavity and inside all the wall-fittings of a business worksite. It's ideal for installing a wall-hung toilet. 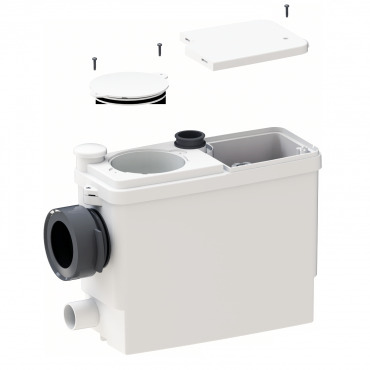 Equipped with an access hatch, the SANIPAC Pro UP facilitates maintenance interventions in case of blockage, without the need to disassemble the device or empty the tank! This is one of the quietest lines of grinders on the market with only 47dB (A). 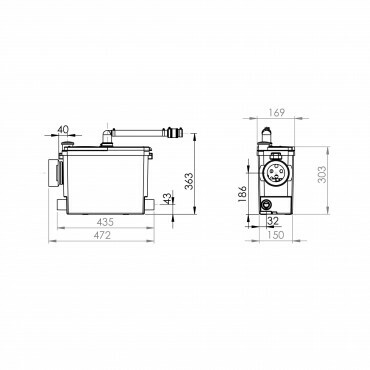 It can be installed with ease, without any modifications and will drain your wastewater and valves up to 5 meters vertically or 100 meters horizontally. 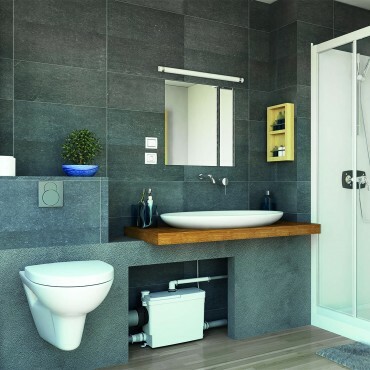 The SANIPACK Pro UP is only available from plumbing wholesalers.